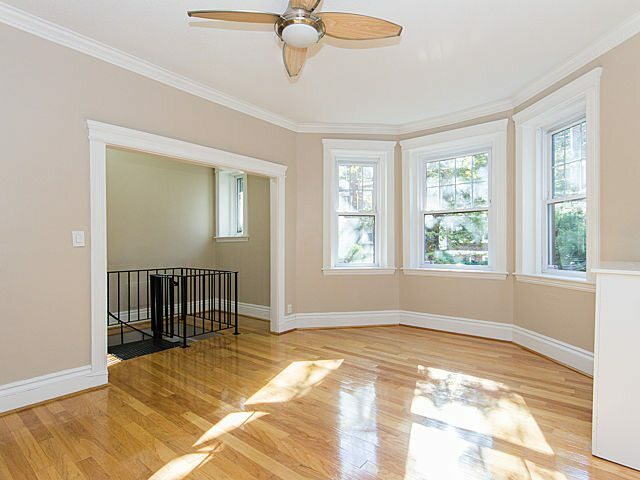 Rare 3 bed, 2 full bath duplex in the heart of The Fenway! An Amazing Investment Now or a Wonderful Home when you make your City Move! Over 1,000 sq ft on 2 levels! This Totally Renovated Home features a granite kitchen with high-end stainless steel appliances including a Chef’s gas stove. The kitchen opens to an Oversized living room with large bay windows and a peaceful reading nook. Two Custom Designed Bathrooms! One with a Spa shower with Dual shower heads and the other with a large soaking jacuzzi tub! In-unit washer and dryer (high efficiency Bosch front-loaders). Glistening Hardwood floors and stunning tile . Ceiling fans in bedrooms and living room. All Custom closets w/built-in closet organizers! High Ceilings with Crown Moldings! Artisan Painted Hallways! Spotless professionally managed building! Close proximity to Everything! Longwood Medical Center, Back Bay, Fenway Park, great restaurants, parks, shopping and public transportation! A True Value! Click Here for the Floorplans and More Photos!